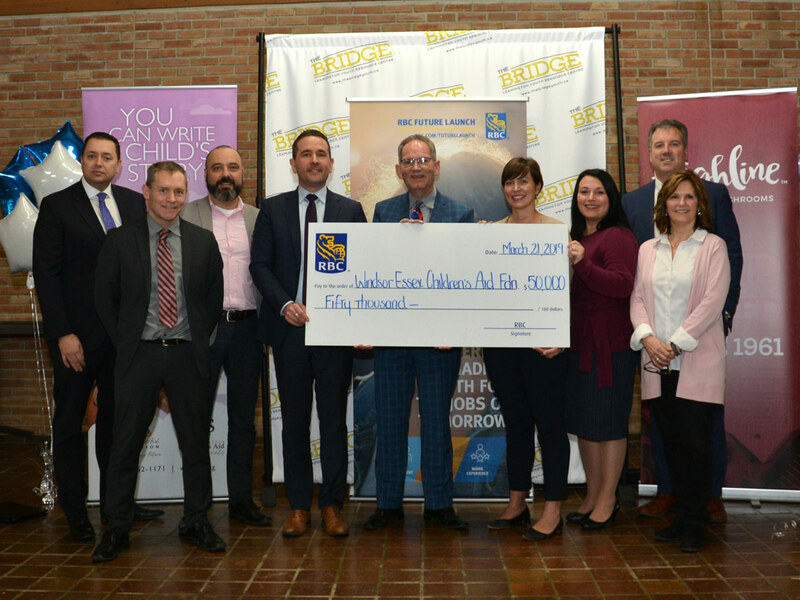 A $50,000 RBC Foundation grant was presented to the Windsor-Essex Children’s Aid Foundation (WECAF) for the implementation of a one year pilot project at a ceremony on Thursday, March 21st in Leamington. The grant will fund “Capturing a Future Through Life Opportunities, Leadership & Experience”. Many youth involved with the Windsor-Essex Children’s Aid Society (WECAS) have significant challenges such as mental health, social isolation, poverty, and in most cases, lack of support systems. This program for selected Essex County youth, ages 14-18 would focus on providing mentorship, introductions to basic skills and knowledge required for youth to function and thrive in a work environment. This element of the program will be provided by The Bridge, a centre in Leamington that provides a wraparound service under one roof for youth. Highline Mushrooms will then accept these youth for a practical and hands on work experience via co-op employment placements at their Essex County facilities.